Last week a worker at my job written in Nodejs v0.10 started to fail. At some point the worker would consume 100% of CPU and gradually would increase the memory usage as well. That job was been forced to stop once all the memory available was consumed. Basically I had two approaches available to find out what was causing the problem. Put console.log every place and find where in my code was the last time executed before getting stuck with 100% of CPU usage. Do it right and profile the application to find out properly based in statistics about the running process how much CPU each part was consuming. Even console.log been a common approach for many simple cases. The profile is the best option for this kind of problem. Start the app with enabled profile node --prof index.js. In other shell window run top to monitor when the process get 100% CPU usage. Once the process get in high CPU usage stop it. The profile will have created v8.log file. In node v0.10 has not a built in tool to process this file. Because of that install one with npm -g install tick. Execute node-tick-processor and it will print the explained results about the profile log v8-profile-cpu-100-usage.txt. Looking the [Bottom up (heavy) profile] section I could find out the module causing the 100% CPU usage. But that was part of the problem. We know who is the responsible. But who is calling that function? Looking into the [Top down (heavy) profile] I find out that winston module is the one using the cycle. Winston is a library for logging. So are suspicion was right. Probably is a JS object been saved to the log. Note: callees occupying less than 0.1% are not shown. And that is the end. Looking into my code /src/lib/promised-queue.js at line 80. The function logError really was calling the winston library. Based on this knowledge my approach was simplest replacing winston with console.log because at that part a simple print of the error into the console was enough. Record the commands. I was using ds' which uses the surround plugin to delete the quotes. Finish the recording with q again. Lately I was getting a lot of problems with my VM and even with the bluetooth on Mac. Just because the vmware VM was not recovering well after my macbook waking up. I use a VM everyday and I always forget to suspend/halt that before sleep my macbook. So I find out is possible to configure scripts to be executed on wakeup/sleep the machine through SleepWatcher. This blog post Mac OS X: Automating Tasks on Sleep by Kodiak explain really well how to setup the sleepwatcher. # in my case was "cd <vm-directory> && vagrant suspend"
use a prefix in the table on executing SQL queries select * from "$_mytable"
And that is it. You are already building a multi tenant application. Well. The library knextancy takes care of everything for us. curl -X GET -H "x-client-id: 11" "http://localhost:3000/"
Knextancy will identify the tenant associated to that request based in the x-client-id. 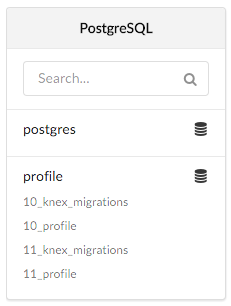 In case is the first request for that server, knextancy also will execute the migration and seed tasks. So there is no manual configuration required for bringing up a database for a new client. You may ask yourself. How is that secure if the tenant is based in HTTP header? Then the user could change manually the tenant he is accessing. Well. This is not a problem for services running inside a private network. For the public app/services, we run everything behind a proxy, that injects the x-client-id based in the domain. After that knextancy injects in the request an instance of knex with the context of the current client (e.g. req.knex). Then to execute any SQL query with multi tenant support is just required to use the req.knex and any table must have prefix $_ to allow knextancy resolve the table for the current client. It is a post for beginners in Elixir and Phoenix. Has intention to help understanding how a Phoenix application works and a bit of its lifecycle. I started the day thinking in write an chat application to apply what I have learned so far of Elixir. But even after reading the whole Elixir - Getting Started and Phoenix - Up And Running. I was not really feeling prepared to write an application on my own. P.S. I didn’t read the Phoenix framework documentation before start the application. I’m sure if I had read the docs, everything would makes sense. But I was just too excited to start coding :D.
So instead of writing a chat app from scratch. What we gonna do is understand how the chat app built by Chris McCord works. Contains the definition for all dependencies and configures the OTP application. Check out elixir/Application to understand what is an OTP application. And the presentation OTP Has Done It - by Nick DeMonner also gives an idea about it. In the application function is defined the Chat as the startup module. And also is defined all applications your application depends on at runtime. In lib/chat.ex is defined the OTP Application. As we can see the Chat.Endpoint is started as supervisor. Which will start the endpoint when the application starts and it will be restarted in case it crashes. And Chat.Repo is started as worker. Which will run the repository in a different process. Allowing this way to keep the state (e.g. connection pool) between different requests. Otherwise would be necessary establish a new DB connection for every request. # the :phoenix application is set to true in your config file. In lib/chat/endpoint.ex is used a lot Plug. It allows compose modules between web applications. With Plug is possible to change the request and response data through the connection lifecycle. It is comparable to a middleware in Node JS. Check out understanding-plug and plug project. In Chat.Router we see the definition of pipeline. Which is a simple way to pipe a series of plug before passing the request ahead to a controller. That can be used for different type of requests. For example: an API request must be handled differently of a browser (page) request. Once a request arrives at the Phoenix router, it performs a series of transformations through pipelines until the request is dispatched to a desired end-point. Such transformations are defined via plugs, as defined in the Plug specification. Once a pipeline is defined, it can be piped through per scope. After a request passing through all previous plug. It will be handled by the controller. For instance a GET / will respond with index.html page. As we saw before in the Chat.Endpoint the socket connections will be handled by the Chat.UserSocket. Basically the Chat.UserSocket creates a channel for topics matching rooms:*. And add support for both web socket and log pool connections. Check out Phoenix.Channel for a further explanation. P.S. I have just started learning Elixir and Phoenix. Let me know if I had misunderstood something.